Mustard IT provides a full suite of cloud computing support, helping you harness the power and flexibility the cloud delivers. From complete migrations to hybrid environments, we ensure your business continuity through every stage. Imagine if all of your employees can connect to the applications and files they depend on from anywhere in the world on any given device: This is the power of the cloud. Enhance your collaborative efforts, increase productivity and unite your workforce, no matter how you do business. From the plug-and-play simplicity of Office 365 to the scaling power of Azure and AWS, the cloud helps you streamline your workflow and redefine what is possible. What cloud solution is right for me? There are several considerations to take into account when deciding on a cloud solution. The type of files you will be storing and sharing and your available bandwidth will determine what will work best in your situation. Mustard IT will work closely with you to design a cloud infrastructure that will deliver on the features you need, whether a public, private or hybrid solution. Your business continuity is assured as your migration will be seamless and trouble-free. With several deployment options and a subscription-based payment schedule, you can start working smarter, not harder. 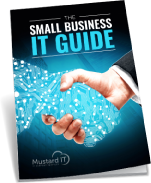 Mustard IT specializes in bespoke IT configurations for all sizes of business. With many years of experience designing IT systems, we have built a reputation as one of London’s most respected IT support providers. We take the time to get to know who you are and how you do business in an effort to deliver the right solution for your very specific needs. We provide certified expertise in Microsoft Office 365 as well as Microsoft Azure, AWS and more, giving you the ultimate in flexibility, no matter what your IT needs might be. A cloud solution reduces your monthly IT spend and offers more predictable costs. With no costly server maintenance, you are free to reallocate your funds into other areas. Monthly or yearly plans allow you to pay as you go and scale on the fly, no matter how your needs might change. Cloud computing allows your workforce to connect with the data and applications they use daily, no matter where they are and from any device. No longer tied to the office, your reach becomes world-wide. When collaboration and productivity soars, your potential is infinite. Cloud solutions offer some of the most robust security features available for the ultimate peace of mind. Take advantage of features normally reserved for enterprise-level businesses at an SMB price. Managed solutions and instant updates mean you are always protected from the most recent cyber threats. Cloud computing offers many attractive benefits for your business: centralized access to all of your files and applications, increased employee productivity, accountability and more robust network security are just a few. With the power of the cloud, small to medium businesses have access to scalable, fully customizable enterprise-level solutions.